Do you want to stay focused on your lifetime goals? 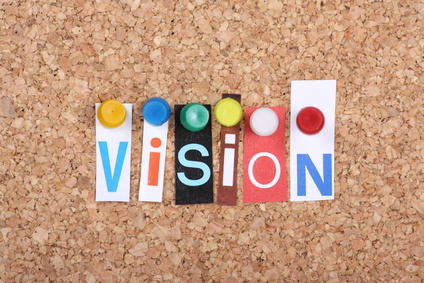 Make a Vision Board (Dream Board) to reinforce these ideas with images and words. By looking at it frequently you can trigger the same feelings as when your vision has been fulfilled. "A picture is worth a thousand words! ", then 20 pictures might be worth a small book! Buy a large piece of white poster board at a craft or hobby supply store. 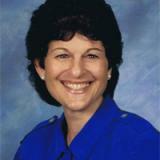 Collect pictures and phrases that illustrate salient features of your vision and some as reminders of what you desire. Magazines, newspapers and graphics from the Internet are logical sources. You’re looking for images that match your vision. For example, a basket of fresh, organic vegetables illustrates the healthy lifestyle I strive for. As a young adult, I wanted to travel. My vision board included photos of Paris - Guess what my first destination was when I left for Europe! Create a collage of images and phrases. Add appealing affirmations - and voila - you have a vision board. A vision board can also help your creativity, allowing your intuition to guide you. Place it where you can see it each day, as a steady reminder of the person you want to be and the life you want to have. Your subconscious can work with the remembered images. Often you will awaken with fresh ideas to help make them a part of your life. As an alternative to cutting and pasting, you might want to explore free websites featuring dream boards including www.oprah.com. Remember that you don’t have to limit yourself to a single dream. I have two vision boards that complement and reinforce each other. Have fun with this project and let me know how it goes! Do Ants Love Each Other? Our oldest grandson was five when he stood with me in the playhouse in the backyard. He spied a trail of ants winding its way across the planked floor. I immediately made a grandmotherly sweep of the area to determine if these were the fierce fire ants that we have in Texas. Startled, I decided to ask him what he thought. He said, "Maybe." We talked about what loving each other meant. Jeff pulled my hand, coaxing me to see the ant trail close up. I got down on my knees to view the world from two and a half feet. Yep, the ants were touching their antennas to each other before taking another step forward. Fascinating! He reminded me how different a child's perspective can be from an adult's - literally. And he was unafraid to ask questions that seem simplistic and silly - yet those "child-like" questions can be eye openers. Creativity and insight thrive when curiosity is nurtured in adults too. Imagine stepping into a world, unfettered by dogma and preconceptions of how the world should be. 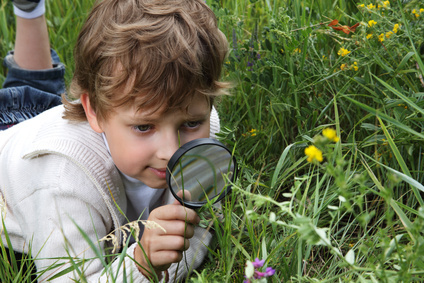 Can you return to the sense of wonder you experienced as a child? If that seems difficult, try exploring your immediate environment on your hands and knees. What do you think? Do ants love each other? Parenting a Teen: A "Can of Worms"? Jacqueline began our session by describing her daughter’s resistance to cleaning up her room. However, she didn’t want to explore that particular problem, because it would “open up a can of worms.” I respected her choice to move on to another issue beside a trashed bedroom. Her choice of words lingered with me. When do I avoid dealing with a tough situation, rather than tackling it when it first comes up? 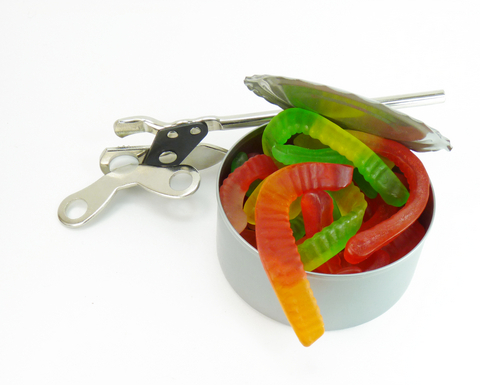 As a parent, are you afraid of opening up “a can of worms”? Even though the lid is on tight ... the...... worms..... are.... still.... wriggling! At a later session Jacqueline returned to her daughter’s messy room. We talked about what motivates us to complete an undesirable task, and decided in this particular case it’s the WIFM’s -- “What’s in it for me”. With an orderly bedroom, the daughter realized she'd save time dressing for school or for a date, because she had picked up scattered clothing, washed it and put it away where she could find it quickly. She liked the smell of clean sheets. And with a tidy room she no longer felt embarrassed to have a girl friend come over. Is there an unopened can of worms with your teenager? Are there WIFM's that could motivate you and a young person to pry the lid off and explore it? I'd love to know. Happy or Unhappy. Do You Have a Choice in a Frosty Tent? Quick question: Are you feeling happy, unhappy - or some place in between - like "okay"? I suggest that we have much to learn from young people about being happy. We decided to take two grandsons camping. The boys wanted an adventure as well as help with hiking and camping Scouting merit badges. Big Bend National Park offers exquisite wilderness opportunities for both. Okay, it was December. We arrived with plenty of warm clothing, cold weather camping gear and supplies for hot meals. Nonetheless, temps dipped well below freezing at night and gusty winds made the tents flap like crazy. At dawn, Bob and I emerged from our tent feeling bleary-eyed and quite grumpy. Jack, the 14 year old, had a totally different experience. He scrambled out of his sleeping bag and ran to our tent laughing and shouting for us to come over. He had discovered icicles dangling from the roof of his tent. I assure you that few adults awoke that morning pleased to discover icicles. Jack's exuberance was such a reminder. We do have choice. Hurray, Icicles! Or Ugh, Icicles! We walked over to the boys' tent and bent down to examine those bits of ice that had appeared during the night. 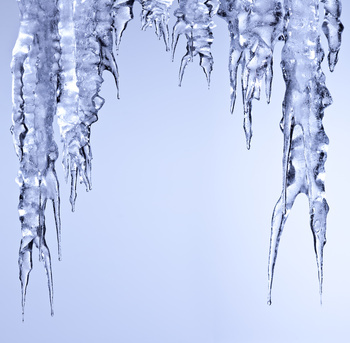 In the first rays of dawn the icicles glistened like magical gemstones. Is there a time when kids’ enthusiasm reminded you that you can be happy? How to Overcome Perfectionism ... with a sticky note? Isn’t it amazing how wanting things to be "just right" can creep into everyday situations? We have a largish refrigerator in the kitchen. Rather than face a huge white space of fridge door, we’ve attached photos, holiday cards, and a smattering of those kitchy tropical fish magnets sold at tourist traps. 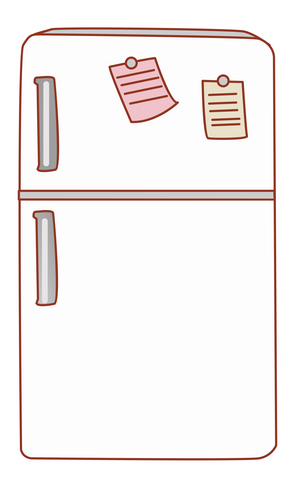 This morning I noticed that Bob had stuck a note on the refrigerator. Only it was stuck at an angle. Feeling peeved, I reached over to straighten it - then stopped. Wow, slow down. What’s really going on? Time to take the temperature of my frustration. How was it affecting my breathing and stomach muscles? What was I really frustrated about? I stayed with this (without fixing anything) until frustration drifted away. I smiled at the irony. "It's not right, straighten it now" - almost wiped out a beautiful start to a busy day!